Two phrases I’ve heard in the last few weeks but which couldn’t be further from the truth. 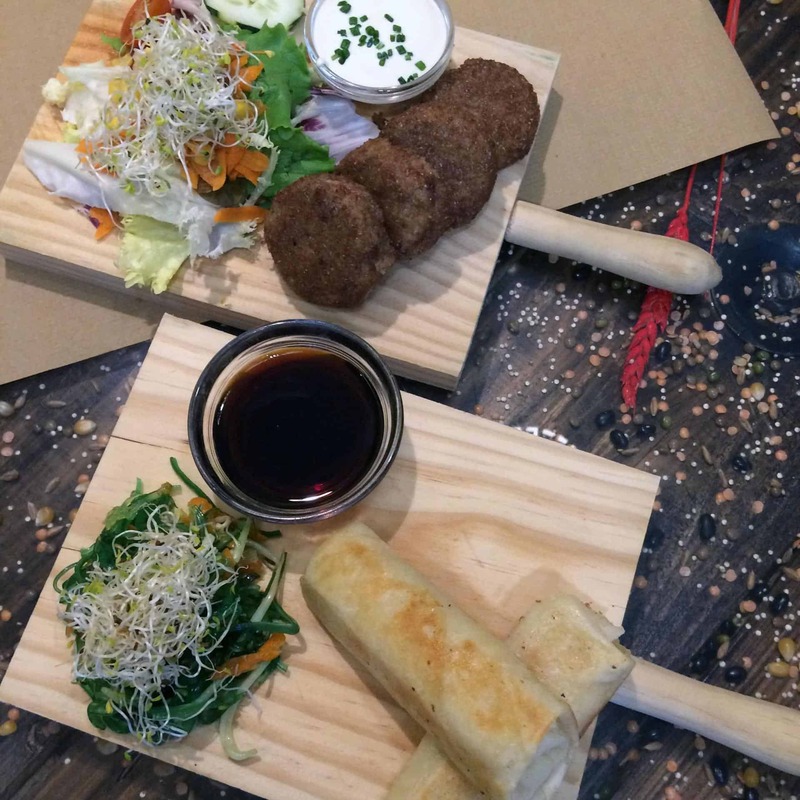 While Spain may not be thought of as a traditionally vegan-friendly location, that doesn’t mean it’s impossible to be vegetarian or vegan in Spain, and these knowing about vegan tapas in Barcelona will help you find vegan food easily. Barcelona is actually a very vegan-friendly city; which is exactly why I wrote my Barcelona Vegan Guidebook. Click here to find out more. Yes, there’s jamon (ham) in a lot of things. Yes, some waiters may be confused when you ask for vegetarian or vegan food. Yes, some waiters may even offer you chicken or fish because they think this is vegan (but I’ve had that happen in the US and UK). BUT there are plenty of traditional foods that are accidentally vegan or easy to veganise. And there are also a lot of vegetarian and vegan restaurants in Barcelona (so many I wrote a guidebook about it! ), and a growing number around all of Spain. Some of these (and other places) offer some nontraditional but wholly vegan tapas like the vegetable spring rolls pictured above. But if you’re travelling with non-vegans and think you’ll end up in some non-vegetarian restaurants, all you need is a little knowledge of some traditional tapas dishes that are usually vegan or can easily be adapted to be vegan. Today I want to share an extract from my vegan guidebook to Barcelona. This section is on traditional tapas that are usually vegan. You can usually find a few vegan tapas on any tapas menu in the city! 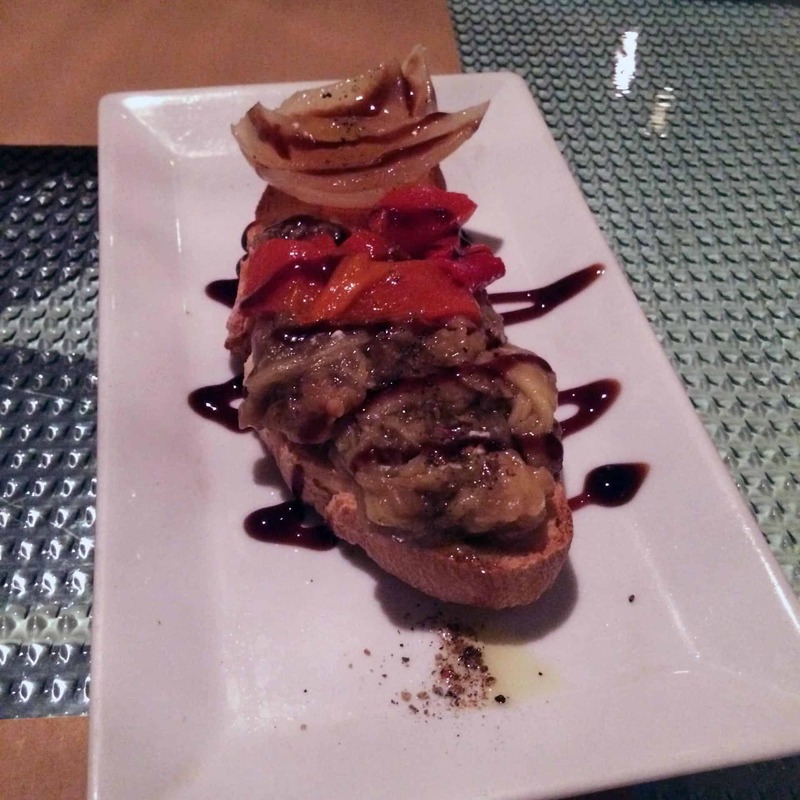 Head into any tapas bar, and you can usually find some vegan tapas. Thanks to the abundance of olive oil in Catalan cooking (olive oil tends to be favoured over butter in cooking), it’s easy to find vegetable dishes that are vegan. Pa amb tomaquet/pan con tomate: Sometimes simplest is best. This is one of Catalunya’s most famous dishes. It consists simply of grilled bread, rubbed with garlic and then drizzled in olive oil, with tomato squeezed on top. Pimientos de padron: Padron peppers are delicious served pan-fried in olive oil and coated with a liberal sprinkling of salt. 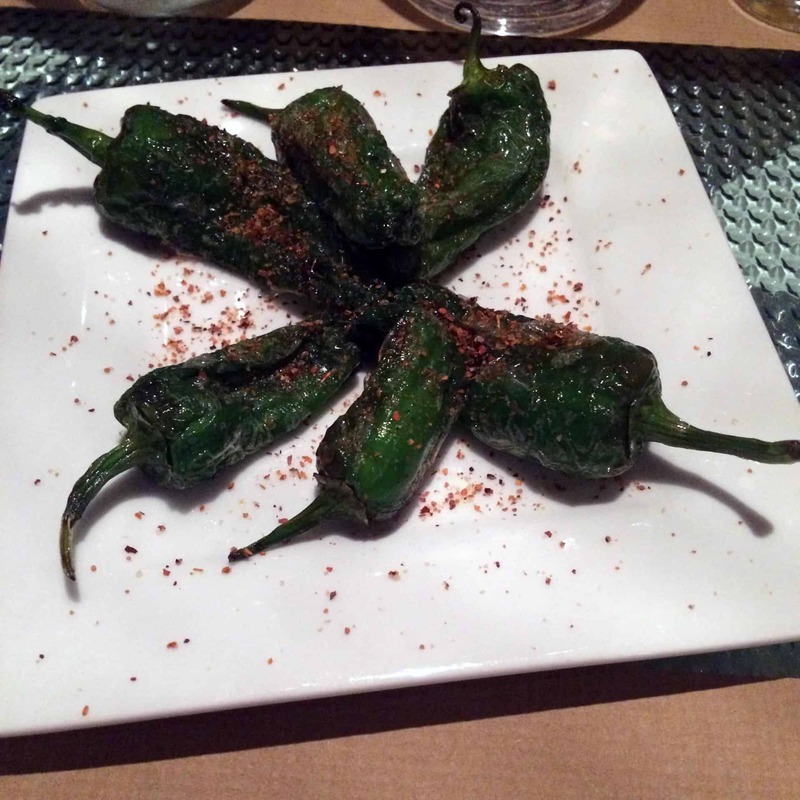 If you’ve never tried padron peppers, you have to get these! They’re usually not spicy, but you’ll get the odd spicy one every once in awhile, so eating these is akin to a game of spice Russian roulette. Escalivada: A traditional salad of roasted peppers, onions, tomatoes and aubergine, with olive oil and vinegar. You can’t go wrong with roasted fresh vegetables! Alioli: Careful because this one is often not vegan, but in a traditional preparation of Catalunya’s most famous sauce, only garlic, olive oil and salt are used. However, some modern versions include egg and are prepared in a similar way to mayonnaise, so always check if it’s vegan. 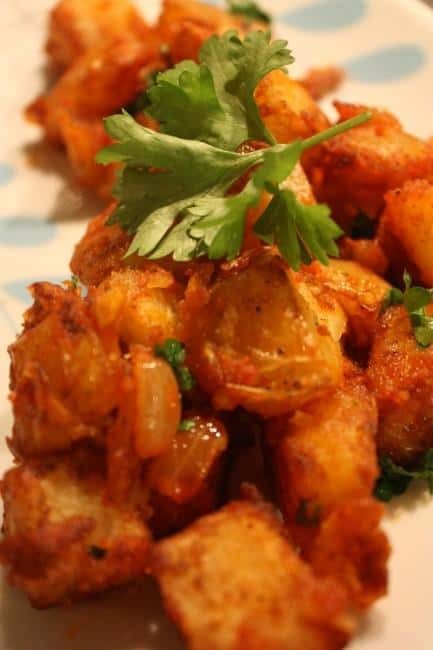 Patatas bravas: Fried potatoes in a spicy sauce, sometimes served with alioli or mayonnaise. Be careful because while traditional alioli is vegan, more modern preparations often are not (see above). If that’s the case, ask for just the fried potatoes and bravas sauce (akin to a spicy ketchup). Olivas: Spanish olives are a far cry from the kind you get in jars in the supermarket, so you have to try olives while you’re in Barcelona, even if you’re not a fan of the supermarket variety. Just ask if they are sin or con hueso (with or without pits). The ones without pits (sin hueso) are often stuffed with non-vegan fillings, in particular anchovies (anchoa), and this is not always marked on the menu. Tell them you want olivas con hueso (olives with pits) if in doubt. Romesco: A sauce of roasted peppers, nuts and bread, and traditionally eaten with calcots (a sort of leek-spring onion cross), if you see this on the menu, order it! Hummus: Not at all a traditional Catalan tapa, but hummus seems to be making its way onto more and more tapas menus. Great if you’re feeling your tapas are a little protein-deficient. Don’t forget about other vegan dishes to be found like gazpacho, espinacas con garbanzos (spinach with chickpeas) and espinacs amb pinyols i panses (spinach with pine nuts and raisins, a traditional Catalunyan dish not often seen in restaurants but often prepared at home). Wait! Get your FREE sample chapter from the Vegan Barcelona Guide here. 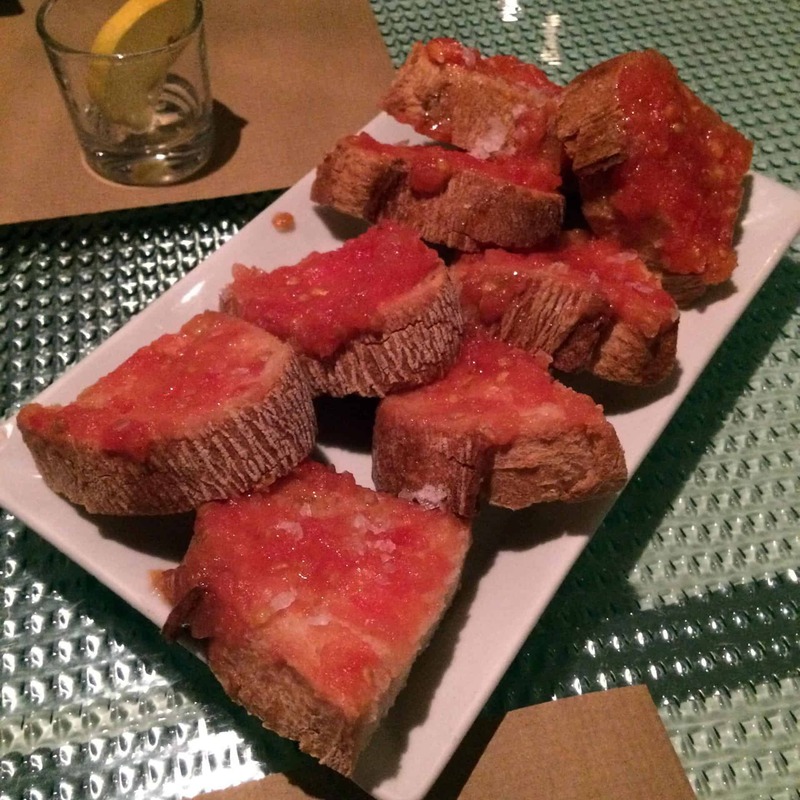 Restaurant Review: Sesamo, Barcelona Patatas Bravas 6 Must-Eat Dishes You Have to Try in Barcelona Win a copy of The Vegan Word Barcelona Vegan Guide! Wow, that’s a great tip about the olive pits! It never would have occurred to me in a million years that there might be anchovies inside. Good to know! Happy Vegan MoFo! I think I need more vegan Tapas in my life! Especially after seeing this lovely post! 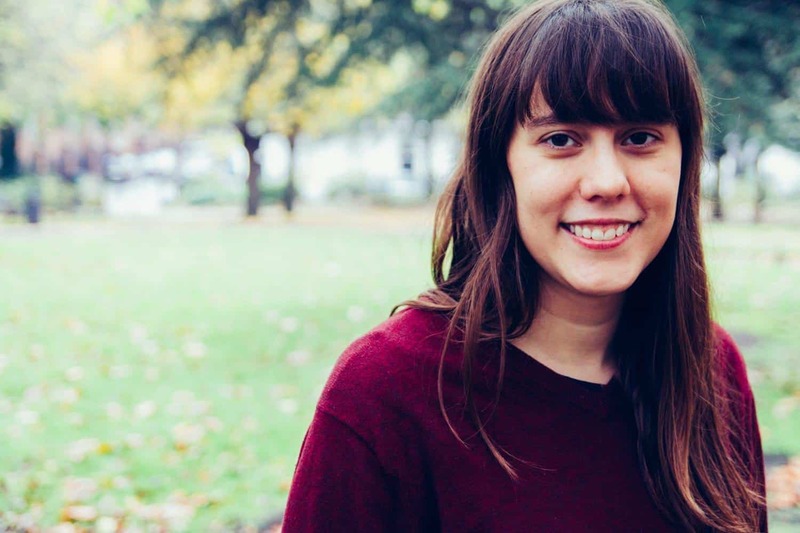 I can’t believe people would really give up being veggie in Spain – I grant you, it might not immediately seem to be the most veg-friendly place, but every time I’ve been there I’ve had some great vegan food, in some great vegan and non vegan places. 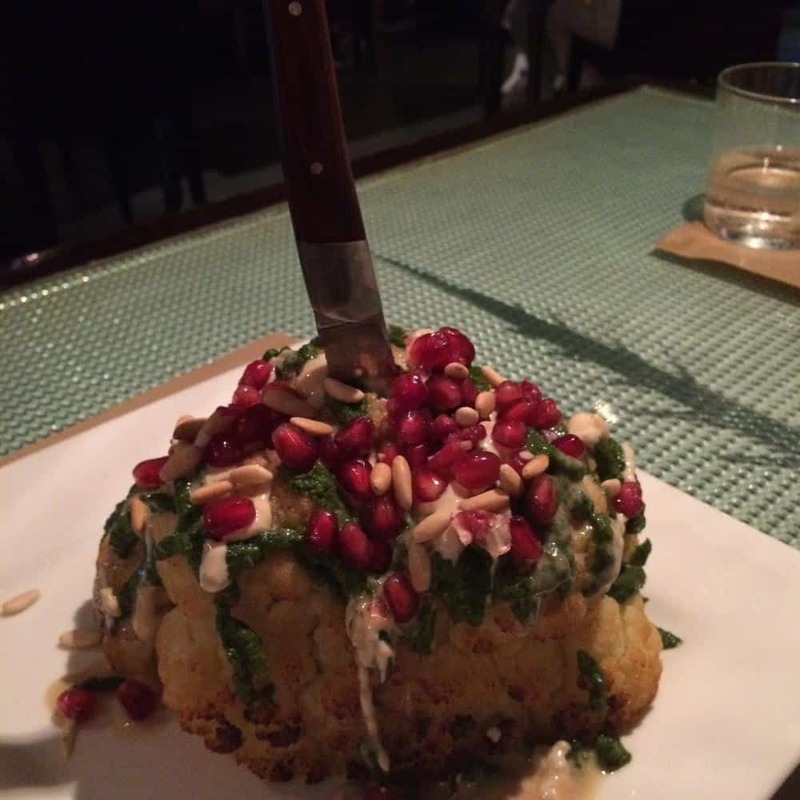 Thanks for the beautiful round up of vegan tapas!